You’re on the road and you haven’t eaten in what seems like days. Your stomach is growling and you can practically hear it over the Willie and Hag you’re playing in the cab. You start to wonder if you’ll ever see food again, as you curse the road and every highway sign that flies by. Craving a hot, steaming plate of your favorite food, you begin to dream about sitting down in a diner and enjoying some grub. Heck, at this point, you’d even settle for a bag of jerky and something cool to drink . You’ll take almost anything to get your hunger to subside just for a minute. For those on the road, the reality of finding good, quality food may be more difficult than one might expect. It’s an intrinsic fact to those with trucking jobs – meals aren’t always going to comes as easy or regularly as they might to those working a desk job. Luckily, one major benefit of being on the road is the multitude of terrific and fascinating dining options afforded road nomads, many of which are driver-friendly. While many classic facets of traditional country culture and Americana may have slipped through the cracks over the decades, diners have persisted and cultivated a following with locals, food enthusiasts and those just trucking through. 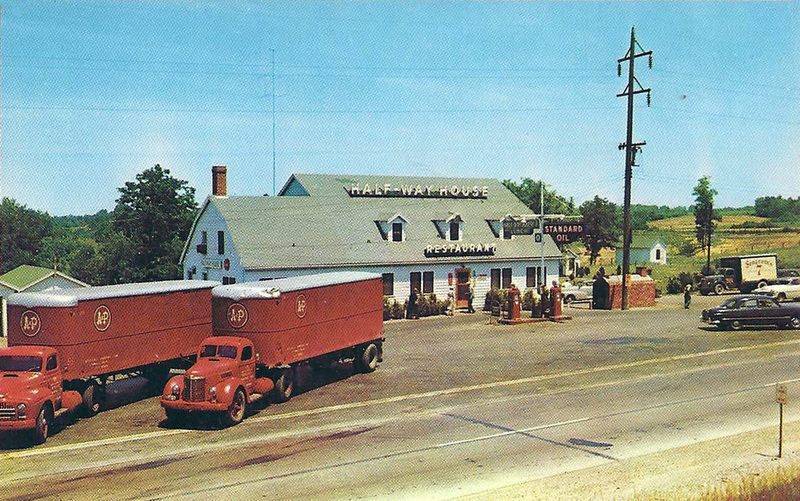 What would New Jersey be without a countryside dappled with classic diners for truckers to stop in and see? The Roadside Diner in Wall, NJ is one of the most infamous and well-known early breakfast and lunch spots on the east coast. Open early for those trucking through the wee small hours, The Roadside Diner is the perfect place to grab a hot plate of authentic American breakfast and take in the classic Americana decor. 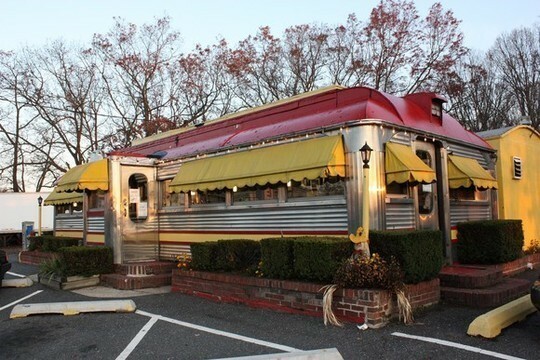 Having served as the background for music videos and album covers for the likes of Bruce Springsteen and Bon Jovi, The Roadside Diner is not only a bonafide New Jersey landmark but also crafted specifically for truckers to park and stop in for a bite that ails them. 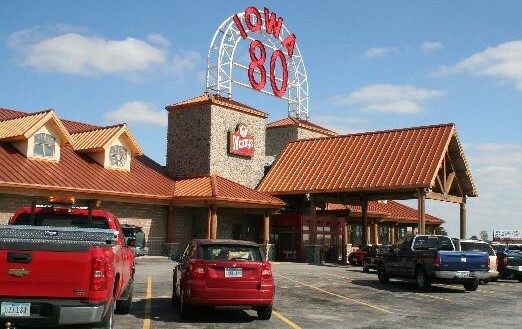 Considered by many as the largest truck stop in the world, Iowa 80 Kitchen has served truckers since 1964. Housing an incredible 50 foot salad bar – among other feats of cuisine, Iowa 80 is open 24 hours a day, 365 days a year, ensuring that anyone passing by can stop in for a bite to eat. 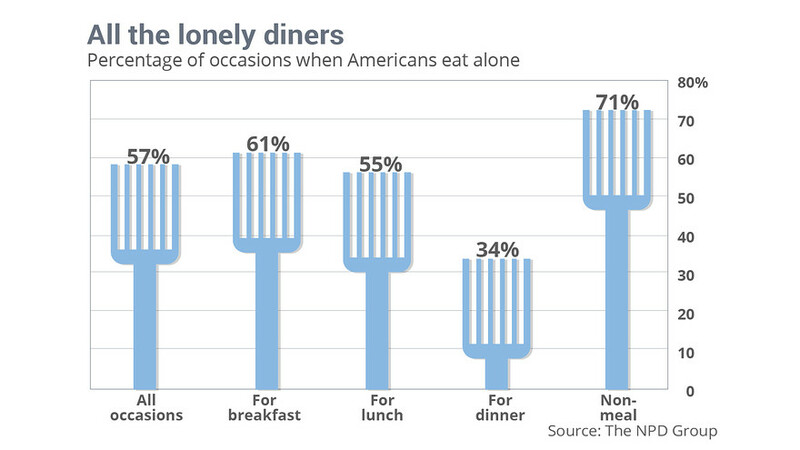 Famed for its breakfast-for-dinner specials, many drivers stop in for eggs, bacon and toast at all hours of the day. A true staple of the Heartland, Iowa 80 Kitchen also features a truck showroom and gift shop, boasting over 50,000 items and pieces of gear to assist an individual with their truck driving job. 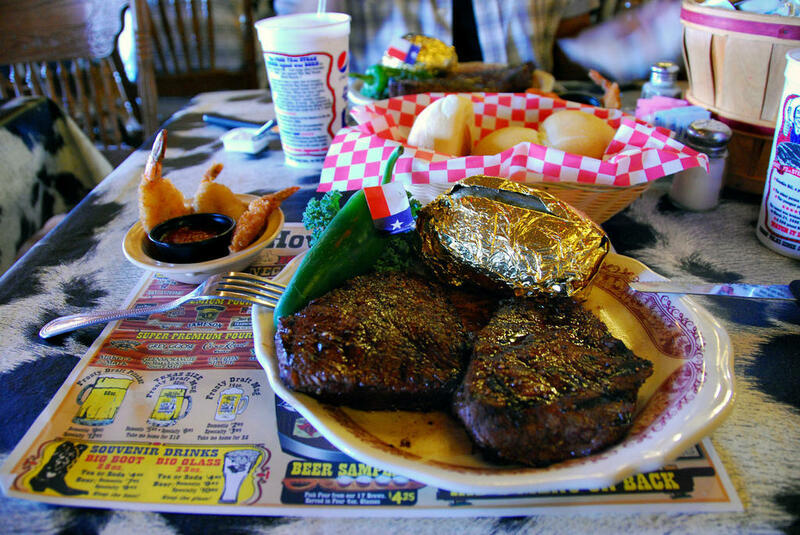 One of the quintessential steakhouses in America, the Big Texan is perhaps best known for its 72 oz steak challenge. Located along Route 88, The Big Texan has been a favorite of truckers and a convenient spot to take a load off and belly up to the bar. Many consider The Big Texan a perfect spot to hunker down for a meal that is assured to fill them up, with a large barbecue-oriented menu to choose from. Perhaps most convenient of all, The Big Texan offers their “Horse Motel,” an onsite companion to the regular motel, providing a place for drivers with livestock to ensure their equine friends are safe, as well as a spot to hitch up one’s truck for the evening. Perhaps one of the most unpretentious options available to truckers in California, the Wagon Wheel Restaurant models itself after a traditional stop along the Oregon Trail. Offering chicken fried steak, biscuits and gravy and slow roasted pot roast, the Wagon Wheel may not be a spot for traditional California cuisine, but rather a spot for traditional cuisine for trucker jobs and those behind the wheel. Located off of the 1-40, Wagon Wheel Restaurant has made it a goal to serve truck drivers with a comfortable and welcoming atmosphere. 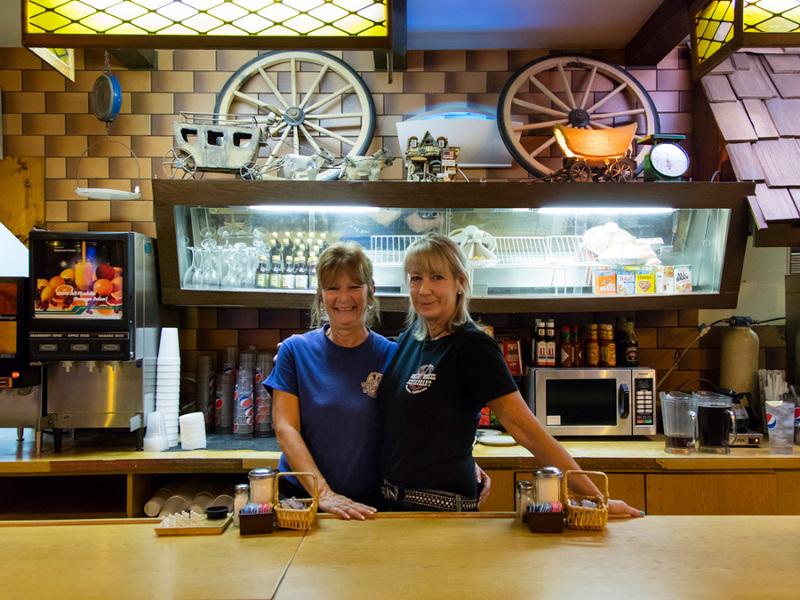 Consistently showing ballgames, NASCAR events and serving beer and wine, the Wagon Wheel is a place to sit for a long spell or to simply enjoy a bite to each and watch the tube with some fellow drivers. When a sit-down meal isn’t a viable choice due to time or parking constraints, there are still plenty of locations and options for a driver to find a friendly atmosphere that won’t leave one’s stomach grumbling. While Pilot and Flying J locations may seem like obvious top-shelf stops for traditional road snacks (i.e. junk food) the nationwide chain has been expanding its menu and offerings to give drivers more dining options as well as more sustainable and healthy choices. In particular the PJ Fresh Marketplace locations popping up across the country offer a sit-down meal atmosphere that can be taken on the road, with more nutrition that simply a cup of java and an energy bar. A positive trend in nutrition offered by outlets such as Pilot and Flying J is the growing number of fresh produce options. 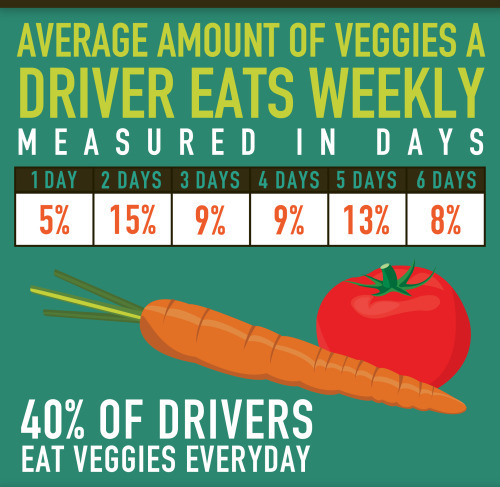 Studies within the industry show that among the food groups drivers are most deficient in, fresh fruit and vegetables are the most missed. Snacks on the go no longer simply mean potato chips and candy bars, with the smallest amount of preparation it can also include cruciferous vegetables and fruits loaded with Vitamin C.
A good number of diners may be sparse in offering what one considers healthy options. Furthermore, many visitors to diners may think it somewhat silly to opt for the garden salad when the house specialty is the rib-eye plate. However, there are ways when dining in to maintain levels of nutritional integrity while enjoying a traditional down-home meal. One of the most easiest, and perhaps most obvious tips is to cut down on carbohydrates and sodium. Simply swapping out the side order of French bread or fries for an option of fresh greens or steamed vegetables is a great way to cut down on both substances, while still providing yourself with a filling side to a main meal. As tempting as a hot cup of joe may be, many recommend holding off on that last cup of coffee for approximately five hours before you plan to hit the hay for the night. For an industry that presents a proliferation of problems to inhibit one’s sleep schedule, one less obstacle can make a huge difference in a driver’s overall safety performance. The case is no longer out on the red meat debate versus white, but it ultimately comes down to moderation in everything. While many of the above locations boast their steaks or barbecue dishes, drivers ought to feel as though they can indulge, but for their health they might consider an alternative to the hearty cowpoke meals of olden days. No matter where one eats, the bottom line is that nutrition is key. Many diet experts recommend the old saying of eating like a King for breakfast, a prince for lunch and a pauper for dinner. In other words, one should start with large meal, follow with a medium-sized meal and finish out with a small meal. Another (relatively) simple tip is to cut out to cut out the soda. For some, this may be easier said than done, especially those who stray away from other habit-forming beverages such as coffee or tea. A great alternative to soda is to switch to sparkling water or mineral water, giving someone the carbonation they want from soda but without the calories, sugar or sodium. Whatever options drivers pick, they should keep in mind what food choices will provide them with the most energy and stamina on the road. One should feel as though they can treat themselves to an enticing meal at a diner every now and then, but a diet consisting entirely of big plates can lead to a bevvy of problems down the road.